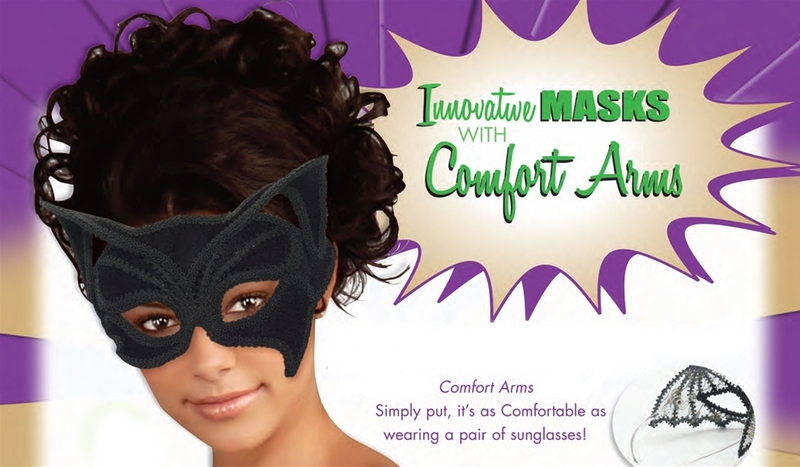 You've never worn a mask like this before! 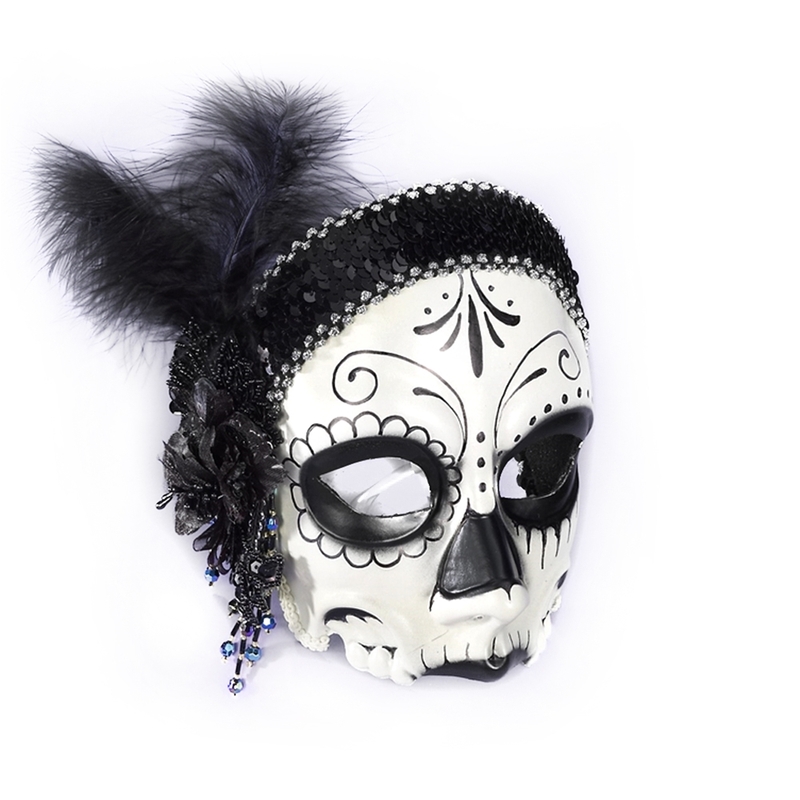 This Day of the Dead Female Flapper Mask with Comfort Arms features a classic black and white sugar skull design, a black sequin flapper headband, a head ornament with feathers, and the innovative clear plastic comfort arms that make it as easy and comfortable to wear the mask as a pair of glasses. Now you can worry less about keeping your mask in place and more about your Day of the Dead celebrations.